The Global Youth Village started in 1979, with a need and a dream. A group of parents noticed their kids had never met anyone from a different country or culture, something they knew was important for young people growing up in a quickly “globalizing” world. They dreamed of a way to bring together young people from around the world to live and learn alongside one another. With the leadership of J.E. 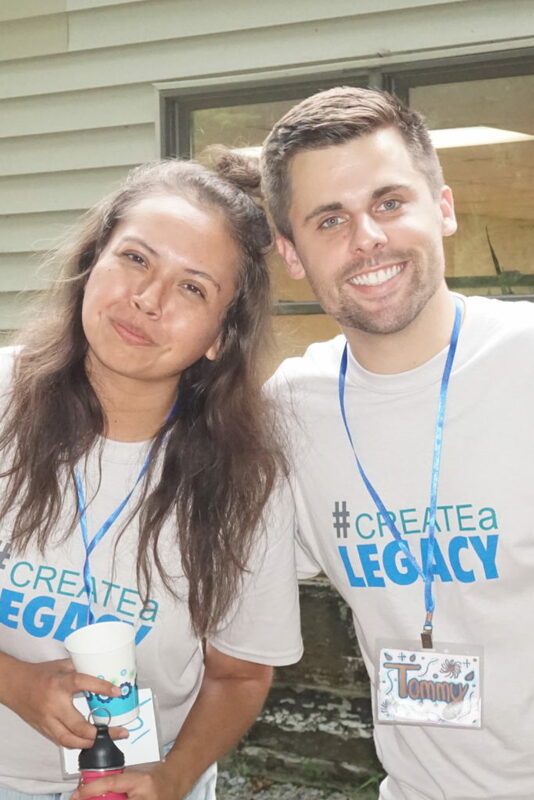 Rash, Founder of Legacy International, and a community of volunteers, these parents built the Global Youth Village during the particularly hot summer of 1979. That summer hosted just nine young people. Over the following four decades, with the support of dedicated alumni and numerous national and international funding agencies, the Global Youth Village has brought together over 4,500 youth from 105 different countries. Over the years, GYV has partnered with the US Department of State and local US community based organizations to bring diverse groups of youths together. From 2006-2014, GYV hosted over 400 teens from Iraq and 300 teens from Indonesia. Since 2016, US Embassies in Egypt, Algeria and the UK have sent over 100 teens. Our dynamic LivingSidebeSide® and leadership curriculums are the bedrock of the experience. The Global Youth Village is program of Legacy International, a 501(c)(3) non-profit organization with the mission of generating citizen participation worldwide. Legacy has special consultative status with the UNESCO council and is accredited by the American Camp Association. Legacy does not discriminate in its membership, admissions, employment and procedures.